While there is no doubt that eating and transfusing blood are different in the literal sense, there are some who believe that both are forbidden in the Bible. 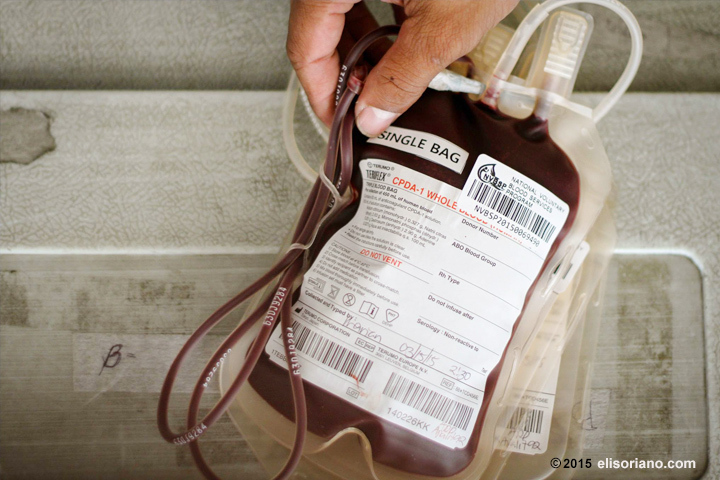 A blood bag is held by a staff of the Philippine Blood Center during the Mass Blood Donation Drive of the Members Church of God International (MCGI) in March 2015. Nandy Vecido, a resident of Muntinlupa City, Philippines, raised the question during the Worldwide Bible Exposition held on January 9, 2015. Mr. Vecido was aboard a Mobile Coordinating Center of the Members Church of God International (MCGI), the organizers of the worldwide Bible question-and-answer symposium. In the religious world, it is known publicly that the Watchtower Society teaches Jehovah’s Witnesses that blood transfusions are unbiblical. Their members are thus prohibited from accepting it in any manner. After Bro. Daniel Razon read the verses, Bro. Eli stressed that what the law prohibits is eating blood. He also noted that the passage doesn’t state for fish blood to be poured onto the ground, as with animals and birds, furthering the exactness of the Bible’s laws. 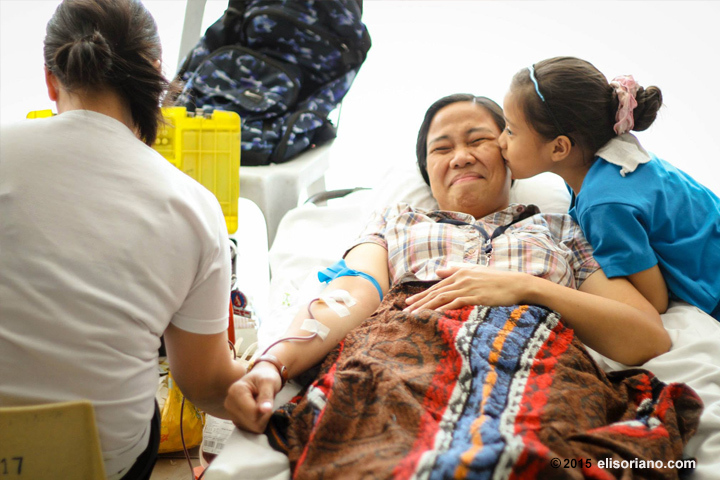 A member of the Church of God International is kissed by her daughter as she donates her blood in MCGI’s blood donation drive at the ADD Convention Center in Pampanga, Philippines. “If the intention of transfusing blood is to extend lives, is that evil?” remarked Bro. Soriano. The international evangelist then read Matthew 19:5-6, which says that husband and wife are one flesh. In an instance wherein the wife, for example, needs a direct transfusion from the husband, “Would you prohibit it as the eating of blood is? It’s not eating; it’s transfusion. Its intention is to save a life,” said Bro. Eli. The same reasoning applies to mother-and-child and sibling relationships or those of the same flesh, he continued. Reading 1 John 3:16, the preacher argued that if organ donation doesn’t count as evil, why should giving blood to one’s brother in the flesh or one’s brother in faith? “Eating blood out of gluttony is different; there are many other things you can eat, why eat what is prohibited by God?” he added. MCGI’s Worldwide Bible Exposition is where Church Overall Servants Bro. Soriano and Bro. Daniel Razon entertain guests’ queries from various remote points, as others in more than 1,300 satellite centers tune in and hear the Bible’s answers.